CALIFORNIA -- Deputies were forced to use a stun gun on a Pit Bull after it attacked a dog and killed another, authorities said. Orange County Sheriff's deputies responded to a call of a dog attack before 9 a.m. Saturday in the yard of a home on the 8500 block of Chanticleer Road in Stanton. A male Pit Bull escaped into a neighbors yard and attacked two dogs. No humans were hurt. When deputies arrived, they found a dead Shih Tzu and an injured Cocker Spaniel. Deputies were forced to control the dog with a stun gun after it exhibited violent behavior, sheriff's said. A search of the home of the Pit Bull found seven other Pit Bulls. All eight [dogs] were taken into custody by Animal Control Officers. INDIANA -- Four pit bulls attacked a woman in Evansville Friday morning sending her to the hospital with minor injuries. Police say 48-year-old Darlene Harrison was out for a walk when the dogs attacked her. It happened around 7:30 in the 1300 block of South Kentucky Avenue. 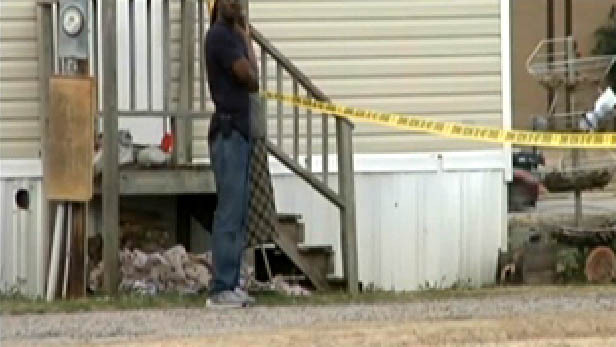 Police say they shot and killed two of the dogs and the other two ran away. Charles Morehead lives just a few feet from where the attack took place. In fact, it happened in his neighbor's driveway. He says it was the sound of barking dogs that woke him. "I got up and looked out and in the driveway there was a woman on the ground with pit bulls mauling her. All I knew to do was call 911, I didn't want to shoot at them, afraid I'd shoot her," Morehead says. Police tell 14 News that none of the dogs were wearing collars. "I've had trouble with dogs running loose before with my dog over in the park," Morehead says. "In a lot of these neighborhoods there are a lot of pit bulls that run around and anytime you see one that's running free you need to let us know," EPD's Karen Kajmowicz says. A dog owner himself, Morehead says it was hard to watch police shoot the pit bulls, but says they were out of control. "I don't like it but it had to be done. They weren't going to get off of her. It's a danger. Danger to me I know, danger to her. She'll never be the same," Morehead says. Police say a quick response made for the positive outcome. "Officers were here within a minute of when the first call came in so they were on scene pretty quick," Kojmowicz says. "Those officers they were just outstanding you know," Morehead says. Police called off the search this morning after finding two dogs they don't believe were connected to the attack. They say if you ever see a dog running freely, to call 911 and to keep in mind any breed of dog can attack. ARIZONA -- A Phoenix woman who once faced more than 200 charges of animal neglect said Friday that her case has been a waste of time and taxpayers' money. 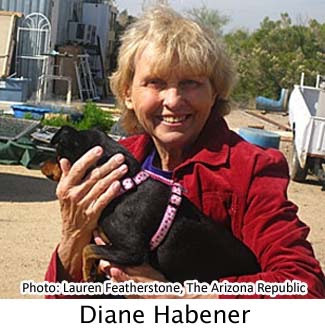 Diane Habener, 63, was arrested in November 2009 after Maricopa County sheriff's deputies served search warrants on two of Habener's Phoenix homes. Sheriff's officials said deputies found as many as 120 animals without adequate food or water in her care. According to the Sheriff's Office, Habener in 2004 started Tuffie's Animal Rescue at her home, 25312 N. 16th Ave., Phoenix. The goal was to save cats and dogs from death in Valley animal shelters. Habener cared for the animals with assistance from volunteers and foster families until they were given permanent homes. "To Diane, this is a calling," Habener's spokesman Mark Macias said Friday. Before her arrest, Habener said she saved and adopted out 199 animals in 2009. Habener said she sold her California home to expand the shelter. Originally, Habener was charged with one felony of cruel animal mistreatment and 77 misdemeanors of cruel animal neglect. After further investigation, Habener was charged with an additional 142 misdemeanors, including abandonment and failure to provide medical attention. Throughout the 22-month trial that began in December 2009, the prosecution offered Habener two plea bargains. The first required Habener to plead guilty to two misdemeanors. The second required a guilty plea to one misdemeanor of disorderly conduct. In a news conference Friday morning, Habener and Macias compared the disorderly conduct charge to that of a teenager acting inappropriately. "It is a waste of time, energy and taxpayers' dollars," Macias said. "I'm an animal person. How can I plead guilty to something I'm not guilty of?" she said. "There was no cruelty. There was no neglect." Habener said the 96 dogs and 16 cats were divided between her two homes at the time of the arrest. Two volunteers were at one of the homes with 68 of the dogs, and Habener had the remaining 28 animals, she said. According to Habener, each animal was fed and let out to play at least twice a day. "She is called from God to do this," said Frances Booher, a prayer partner and longtime friend. The day of the arrest, Habener offered to go to the station quietly, Macias said, but the deputies handcuffed her and made it a public scene. "This is all about publicity over justice," he said. Macias called it an "abuse of power involving Sheriff (Joe) Arpaio and other zealous prosecutors." Before the arrest, sheriff's deputies visited the shelter several times for welfare checks, entering the house and taking pictures of the conditions with Habener's consent. According to sheriff's reports, deputies reported feces on the ground of the shelter and inadequate food, water and shade. After each visit, deputies explained to Habener what they saw and that "per Arizona law the dogs require necessary water and shelter." Deputies usually made follow-up visits. After the fourth visit, Habener asked if the deputies would return and they replied, "Everything is OK unless we get more complaints." Friend and supporter Linda Trexler said she let Habener watch her dog and feels she had the shelter under control. Since the trial began almost two years ago, the prosecution dropped the felony and all but 16 misdemeanor charges. Currently, Habener is not allowed to walk dogs on leashes or care for any animals except for her two horses. When the animals, including her own five dogs, were seized, Habener fought to regain custody of them, but lost. She later won an appeal, which she will pursue when her criminal case has concluded. Habener is due back in court on Monday and Tuesday. "It's been real tough financially," said Habener, who has since sold one of her houses and is cleaning houses part time. "But the hardest part was coming home to empty crates and no animals." 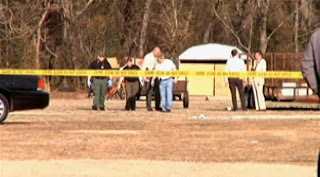 The Sheriff's Office denied further comments while the case is ongoing. 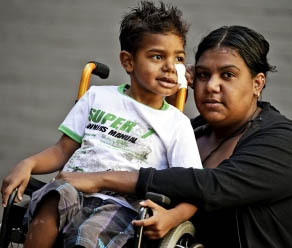 AUSTRALIA -- A four-year-old boy was badly injured on the face and a leg when a neighbour's dog attacked him in the front yard of his Albany home. Cheryl-Lee Maher yesterday recalled the moment when a Staffordshire terrier-cross attacked her son Jarman on January 29. Jarman was flown to Perth the same day and is still being treated at Princess Margaret Hospital. He has had eight operations, has a big facial cut and nerve damage to the left side of his face and is expected to be in a wheelchair for six months. Ms Maher was inside her home when she heard the screaming. "When I got to Jarman, the dog was on his leg and it would not get off him, then I looked at his face and it was torn right up," she said. "There was eight of us there but we just could not get the dog off him." The dog has been put down. Its owner said the dog had pushed its way through a flywire screen door at his home. He said that he had been running after the dog when it attacked and he had injured a finger trying to pry its jaws open. "I did the best I could," the owner said. "I want to make up for it somehow, it was like a bad act of God." City of Albany senior ranger Rob Forster said it was the worst attack he had seen in his eight years in the job. SOUTH CAROLINA -- You just have to see it to believe it - a three-year-old girl brutally attacked by a pit bull only five days ago, now smiling, laughing, and singing songs. Recovery is only beginning, but the spirit of Daniella Ramirez is getting it off to a very smooth start. She was mauled while walking down Wayside Lane in Port Royal with her babysitter last week. The pit bull had her by the head when police arrived. The little girl who struggled to say goodbye after our hospital visit Friday was an absolute chatterbox Tuesday. And when she ran out of things to say, she switched over to songs. "Like a diamond in the sky,” Daniella sang. There's another star twinkling, and she's sitting in Port Royal. And in case there's any confusion, she's at her house, not the hospital! Daniella is a “tell it like it is” kind of kid. She likes strawberries, not pizza. She is a princess, and she thinks you'd like to know she is feeling a little bit better. "A little bit but it still hurts me right here,” she said, pointing to her leg. While Daniella's mother is happy and thankful to hear her daughter back to her chatty self, a lot of the conversations really disturb her, because they're about what happened. She often brings up the “nasty dog” or the “bad dog,” and at three-years-old, even talks about what took place. Her mother says she remembers it all and tells a story of how she actually held her chin down in order to prevent the dog from grabbing at the front of her neck. Seeing the scars and hearing candid accounts from Daniella are heartbreaking, but her smiles make coping with this ordeal a little easier. And it's neighbors, some they never even knew, they making that happen. "This coloring book and crayons and the baby,” she said, showing off some of her gifts. And for that, Daniella has a message and a hug - on behalf of the princess and her family. "Thank you. Thank you so much,” she said. "It's times like this we're reminded there are a lot of good people out there. 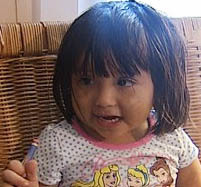 Daniella's mother says since they left the hospital, the visits have been steady. She's received gifts from her landlord, the Port Royal police, and many of you." WASHINGTON -- A Spokane Valley man is in jail after animal control officers say they found his dog whimpering in pain from months of abuse. Jeffrey S. Brown, 40, faces a first-degree animal cruelty charge after neighbors called the Spokane County Regional Animal Protection Service and said Brown beat and kicked the dog at his home at 14819 E. 4th Ave.
Brown told investigators that he’d adopted the 1-year-old brown dog, Gizmoto, last June and said he’d recently taken it to a veterinarian, but the vet told police he hadn’t seen Brown. Brown released ownership of the dog to SCRAPS on Jan. 13, and the organization paid for the dog to be examined. The dog had a broken femur that was about three or four weeks old but had been re-injured. The vet said the dog was in severe pain and likely would require surgery, according to court documents. Brown’s wife, Jennifer Brown, told police she’d left the dog with her husband after Child Protective Services took their four-year-old son because of abuse. Brown remains in jail on $10,000 bond after appearing before Superior Court Judge Linda Tompkins on Friday. MAINE -- Jackman and Hebron are dangerous dogs and must be kept securely confined or on a very short, very strong leash. That designation, issued Wednesday by a judge in Augusta District Court, gives the Smiths, owners of the llama Abracadabra, some assurance that the animal won't be mauled again by the two pit bulls. The llama was attacked and mauled by the dogs on the afternoon of Dec. 31, 2010. "It's peace of mind that the owner has to actively contain the animals," said Nancy Smith, of Monmouth. "Let's take this as a warning." Smith, a former legislator, also got an out-of-court apology Wednesday from Corey Lamontagne, 33, of Leeds, the dogs' owner. The apology followed the issuance of the dangerous-dog order to Lamontagne after he admitted in court to five violations of laws governing dogs. According to a complaint filed with the court, Lamontagne told investigators earlier that his two pit bulls got away from him that New Year's Eve afternoon when he stopped to let them go to the bathroom along the side of Tillson Road in Monmouth, near Snafu Acres, a farm operated by R. Ivan and Nancy Smith. Ivan Smith told investigators he heard a loud cry from Abracadabra and found him outside his pen pinned down by two pit bulls. 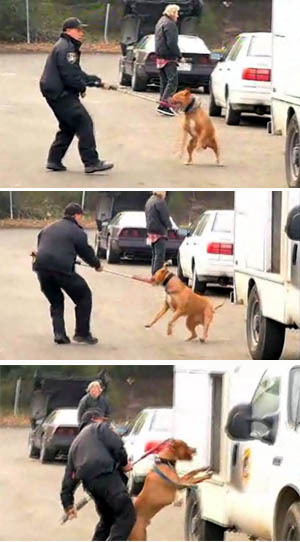 Smith chased away the dogs and told the owner to get the them into his car. The owner took the dogs and drove off. The llama suffered severe lacerations -- some baring the animal's face to the bone -- and needed weeks of wound irrigation, antibiotics and rabies shots. 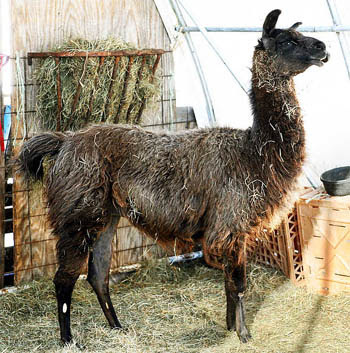 Seven weeks after the attack, the 20-year-old, gray-haired llama is recovering, but bears a number of scars on his face, Nancy Smith said Thursday. "If Johnny Depp ever needs a llama for 'Pirates of the Caribbean, Version 6,' he's perfect," Smith said. "He's got a pierced ear and the facial scars." She said the llama's breathing is altered by internal scar tissue in his sinuses. "Eating is little difficult, and he has to find a whole new way to drink water," she said. "The other thing is his temperament has improved. His personality is back; he's regaining his friendly nature." Lamontagne admitted in court to two counts of keeping an unlicensed dog, two counts of allowing a dog to be at large and one charge of keeping a dangerous dog. He was fined $350 and ordered to pay $381 in restitution for the Smiths' veterinary bills. Smith said people who followed the llama's recovery on his Facebook page -- where he has 175 friends -- made donations that covered the veterinary care, so the restitution money will go to the Abra Llama Large Animal Fund, which was set up at Annabessacook Veterinary Clinic in Monmouth. "It's one way we can take this god-awful experience and make something positive about it," Smith said. She said she was thankful for the law enforcement officers, including animal control officers in Kennebec and Androscoggin counties, who worked on the case. "We will be forever grateful for them for taking this seriously," she said. Already saddled with accusations of drug dealing and tractor theft, a local man was arrested over the weekend after drug agents searched his home and said they found $15,000 worth of cocaine and heroin. Corey Lamontagne, 34, of 2 North Mountain Road, was arrested on charges of drug trafficking, aggravated trafficking and violating conditions of release. Maine Drug Enforcement agents have been investigating what they describe as a large drug distribution ring operating across Androscoggin County. As part of that investigation, agents and Maine State Police troopers went to Lamontagne’s home early Sunday morning. A search of the home and outbuildings uncovered more than a hundred grams of cocaine and 40 grams of heroin, according to MDEA Supervisor Matt Cashman. Lamontagne, who was home at the time of the search, was arrested and jailed. It was not the first time he has had such an experience. Lamontagne’s criminal history is extensive, including convictions for cocaine dealing in 2000 and 2002. Two years ago, he ran into trouble when his two pit bulls attacked a 20-year-old llama at the Snafu Acres Farm on Tillson Road. Police say Lamontagne’s legal woes continued in April when he stole a tractor from Wallingford Machinery in Auburn. Investigators say his plan was foiled when he tried to sell the Kubota tractor to undercover drug agents. Lamontagne was charged with theft when he rode the tractor out of the woods wearing a backpack police say was full of drugs, which were later tested at the state health lab in Augusta. It was determined that Lamontagne had been carrying 22 grams of cocaine, 14 grams of psilocybin mushrooms, 58 Ecstasy tablets, 375 tabs of methadone and 76 of the painkiller Dilaudid, investigators said. Lamontagne was charged with drug offenses when he went to court on the matter of the stolen tractor. He was free on bail over the weekend when agents searched his home and arrested him once again. By Tuesday, he remained jailed on $10,000 bail. On the latest charges against him, Lamontagne is scheduled to appear in court Feb. 2. 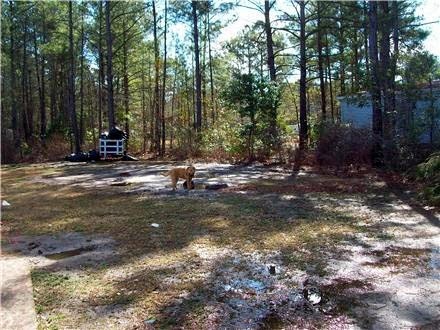 SOUTH CAROLINA – A 66-year-old Dillon woman has died after officials say two Rottweilers attacked her Thursday afternoon, and the owner of the dogs was taken to the hospital for injuries. Capt. 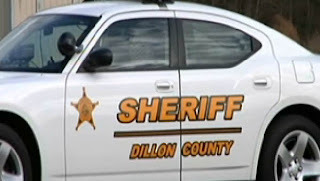 Cliff Arnette, spokesman for the Dillon County Sheriff's Office, said deputies arrived at 1556 West Main Street around 2 p.m. in reference to a death. Dillon County Coroner Donnie Grimsley has identified the victim as Sirlinda Hayes, a neighbor of the dogs' owner. Officials say the attack occurred in the backyard of another neighbor's house. The dogs' owner, whose name has not been released, was taken to the hospital after suffering injuries in the attack when his dogs suddenly turned on him. While officials say Hayes' death appears to be the result of a dog attack, investigators are waiting for an autopsy for more details before determining an official cause of death. 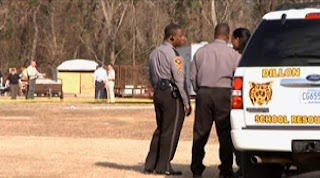 Grimsley said the autopsy will take place Friday at Grand Strand Regional Hospital. Grimsley also said results could come back as early as Friday afternoon. The two Rottweilers from the attack were killed, however, investigators have not said exactly who shot the dogs at this point. Neighbors said they hadn't seen any problems with the dogs before. "They [were] pretty dogs. He looked like he was taking care of the dogs, and it just, they never bothered anybody," Larry German said. Investigators have removed three other dogs not involved in the attack from the property, and taken them to a shelter as they continue to investigate the incident. This is not the first time a dog attack has killed a person in Dillon County. On Nov. 16, 25-year-old Justin Lane of Latta was killed in his home shortly after 11 a.m. when the family pit bull attacked him. The dog, named Smoke, was later put down. CALIFORNIA -- Audrey Johnson, 16, was walking her energetic 7-year-old miniature schnauzer, Bella, back from Stephen Harris Park in El Dorado Hills shortly after noon on Saturday. She ran into her Riviera Drive neighbor Felicia Raquipiso, who lives directly across from the park’s parking lot. neighor's pit bull in El Dorado Hills. Raquipiso warned Audrey that 'Spider', the family’s medium sized, 1-1/2-year-old un-neutered pit bull, was loose and she should pick Bella up to protect her. Audrey spotted the black and white pit bull. It approached, barking aggressively. “She said the [pit bull] wouldn’t bite me, and to stand behind her,” said Audrey. But the dog was undeterred and lunged at the schnauzer that Audrey tightly clutched in her right arm. 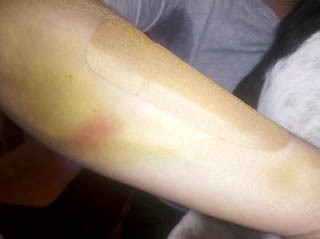 The puncture wounds that stretch around the breadth of that arm are a testament to the dog’s ferocity. “You can see the size of his jaw right here on my arm,” said Audrey on Monday. After the initial attack Audrey dropped the frightened and writhing Bella, who became Spider’s next victim. “He had her in his mouth and was shaking her and dragging her around,” she said. With Bella, Audrey and Felicia all screaming at the top of their lungs Spider eventually dropped Bella. Felicia routed Audrey and the wounded schnauzer into her house on the 2600 block of Riviera Circle, with Spider nipping at their heels. Audrey called her parents, who live several houses down the block. Dawn Johnson came running down the street barefoot in shorts to her daughter’s defense. But she had to get through Spider, who was postured to defend his home. He threatened Dawn and was “going totally berserk,” according to a neighbor who helped her get past the dog. Neil Johnson appeared shortly by car, armed with a large rock, and gained access to the house with the intent of taking his daughter and dog to the doctor and vet, respectively, but Spider wouldn’t let him out. Raquipiso eventually got Spider confined to the back yard. Neighbors called 911. El Dorado Hills paramedics arrived and took Audrey to Mercy Hospital in Folsom, where she was treated for multiple puncture wounds. Neil Johnson took Bella to Lake Forest Animal Hospital in Folsom for similar treatment. Lino Raquipiso, Felicia’s father and Spider’s owner, visited the Johnsons on Sunday and apologized, but didn’t offer to pay the vet bills which are $700 so far, with more visits to come. The Raquipisos have not yet been formally cited, but possible charges could include an aggressive dog running at large citation, said Brzezinski. “A petition could also be filed through El Dorado County Superior Court to determine if the dog should be declared potentially dangerous or vicious,” Brzezinski wrote in e-mail. The Johnsons and their neighbors said the dog has a history of escaping his yard and threatening pedestrians. They also heard that Spider killed another Raquipiso dog in the yard. On Monday, Dawn Johnson stroked Bella’s head, steering clear of the multiple puncture wounds on her back side. The whimpering schnauzer was bruised, tender and heavily medicated, but the family was optimistic that she’d survive. El Dorado County’s 2002 dangerous dog ordinance requires owners of dogs declared dangerous or vicious to take specific steps to safeguard the public. • Keeping the dog contained in a secure enclosure which has been inspected and approved by Animal Services, and which children cannot get into. • Ensuring that the dog wears a bright, florescent collar with a specific dangerous dog license attached at all times, and that signs are posted on the property in English and Spanish in locations visible to anyone entering the property. • Spaying or neutering the dog. • Notifying law enforcement, fire department, the post office and utility companies, veterinarians, homeowners nearby and their insurance carrier of the incident. • If the injury involves a human, the owner is required to maintain liability insurance or a bond covering property damage and bodily injury of at least $100,000. Violations of any of these conditions could result in a misdemeanor, punishable by a fine not exceeding $1000 or six months in jail, or both. Animal Services advises anyone who feels threatened by an animal to immediately report it. CALIFORNIA -- Riverside County Animal Services officer arrested a Mira Loma man Tuesday afternoon on suspicion of felony animal cruelty. 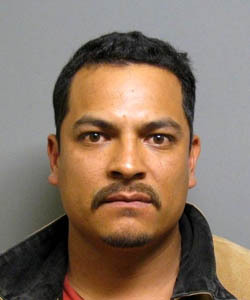 Animal Control Officer Gary Pahls arrested Francisco Javier Ponce, 40, on suspicion of felony animal cruelty for failing to provide veterinary care for an injured horse. On Tuesday (Feb. 15) Animal Services officers responded to a home in the 6000 block of Marlatt Street after receiving a tip from a county agency about the dilapidated horse. 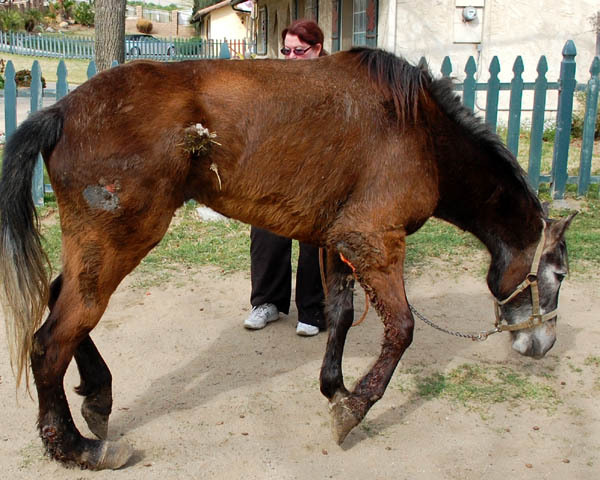 When animal control officers arrived, they found the injured horse. The horse suffered ruptured tendons in its back right leg. The injuries were so severe, the officers contacted Riverside County Animal Services Chief Veterinarian Dr. Allan Drusys to euthanize the animal. The owner consented to the euthanasia. While investigating the horse's injuries, officers also discovered more than 100 illegal, cockfighting roosters. Officers also gathered cockfighting paraphernalia found on the property. The owners signed over the fighting birds to the Department of Animal Services for humane euthanasia. It is illegal in the state of California to own birds for fighting. Possessing blades used in illegal cockfights can be prosecuted as a misdemeanor in Riverside County Superior Court. Officer Pahls escorted Mr. Ponce to a waiting Riverside County sheriff's deputy's unit for transport to the Robert Presley Detention Center in downtown Riverside. 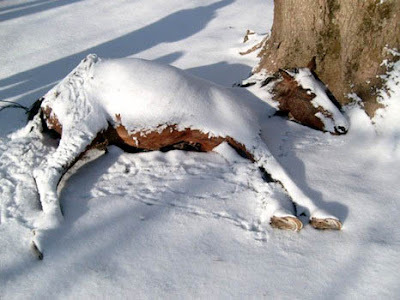 WEST VIRGINIA -- Authorities are now saying that as many as 200 horses may be at risk after 36 horses were found dead on two Greenbrier County farms owned by Grady Whitlock. Most of the horses appeared to have starved. The dead horses and miniature horses were found on two separate farms both owned Whitlock. The farms are located in Crawley and Lewisburg. Whitlock has been charged with animal cruelty. Sheriff Jim Childers stated that he will try to obtain a court order tomorrow to get a veterinarian back on the property to check the animals and to deliver donated feed to the horses in a controlled fashion. Whitlock is free on bond charged and authorities are now checking to see if he owns any more properties. CALIFORNIA -- Authorities are trying to find out why a 3-year-old pit bull named "Savage" attacked a 10-year-old boy Wednesday in Vallejo, CA. Police captured the dog with the help of the owner. The dog disappeared Monday afternoon after attacking Ray Wilkie near his home. 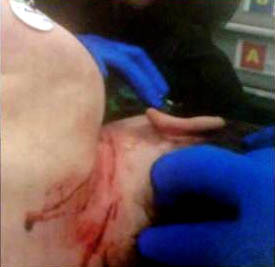 Wilkie suffered a severe laceration to his right arm. He has had to endure 14 rabies shots with more to come. In the next week he is scheduled to undergo reconstructive surgery. Wilkie told police that the dog was purposely released to attack him, but the owner said that was not the case. The owner said she left the dog with a friend who was unable to hold onto the leash and that it was an accident. "The girl let the dog go, because I was talking," the owner said. "So, if I would have had a hold of him, it wouldn't have happened." The animal services director said the investigation is not done yet. "In this case, both stories could have happened," David Sidie said. "The dog could have been released with intention to hurt the child, or the dog could have just broken free because it's a good-sized dog, and we just don't know." The dog's owner must decide whether to euthanize the animal, or go through a dangerous dog hearing. WASHINGTON -- The owner of a Spokane County residence where 123 farm animals and pets were seized last month has been charged with five felony and three misdemeanor counts, animal control authorities said today. Two of her children on the property at 6204 N. Idaho Road are also facing charges, according to the Spokane County Regional Animal Protection Service. Carol Ann McMullen was charged with five felony counts of first-degree animal cruelty, which potentially carry five-year prison terms or $10,000 fines. She was also charged with two counts of second-degree animal cruelty and one count of confinement in an unsafe manner. Those are misdemeanors. Her son, James McMullen, was charged with four felony counts of first-degree animal cruelty and one count of confinement in an unsafe manner. Her daughter, Kelly J. 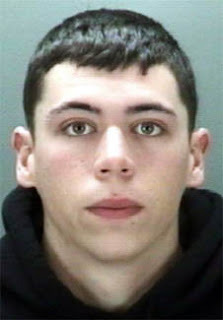 Covey, faces four felony counts of first-degree animal cruelty, three counts of second-degree animal cruelty and confinement in an unsafe manner. In the Jan. 29 raid, officers seized 27 goats, nine guinea pigs, six rabbits and dozens of chickens and ducks, 15 cats and a sheep. The cats and sheep were euthanized. In addition, officers found 78 dead animals on the property, located between State Line and Newman Lake. During a raid in 2006, officers found 18 cats confined to an RV parked on the Idaho Road property. Covey was charged in that case. In 2004, McMullen was convicted of 13 misdemeanor charges, including animal cruelty, stemming from a similar raid, according to news files. This is a warning to pedestrians and home owners around Green Avenue/Ilex Way. On February 6, my daughter and son-in-law walked to Laerskool Edleen to register to vote. They had their baby in a pram and took our two dogs with them. At 12.30pm, on the way back, a dog came rushing out of a house and attacked our Doberman in his hindquarters. Because of the danger to the baby and to prevent further injury, they walked quickly home before they could find out precisely where the dog came from. It was a beige, boerboel-type dog with an undocked tail, wearing a black leather, silver-studded collar. We took our pet straight to a vet where he had two hours of surgery. Fearing infection, the vet had to keep him in hospital until Tuesday. He is on medication and still not out of danger. As yet, no one takes responsibility for this attack. I just hope, whoever the owner is, that his conscience will trouble him for the fear and pain his dog caused. Not to mention the vet's bill (weekend rates), which we can ill afford but this dog is like one of the family. What is worrying is that this animal, which can get out into the street and attack without hesitation or provocation, lives on a route where children walk to school. Please, will one of the parents warn the crossing guard at Green Avenue to take special care. I believe that if a dog bites once, it will do it again. 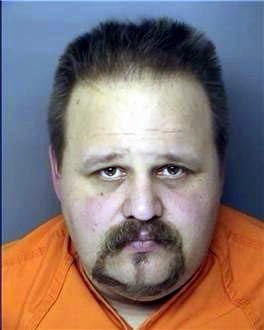 SOUTH CAROLINA -- Horry County police charged Len Eldon Crenshaw, 40, with ill treatment of animals, a felony. "I felt sorry for it out there without shelter, you know, especially," said neighbor Emma Moore. With the owner's permission, Moore says she fed the dog when she could. "I was very concerned about it, and someone else came and saw it and was outraged about it." 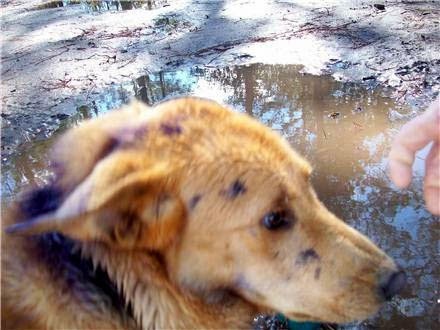 Moore said that person reported the dog's condition. Earlier this week, officers found the yellow labrador with several collars embedded in its neck at Crenshaw's home on Evelyn Drive outside Conway. 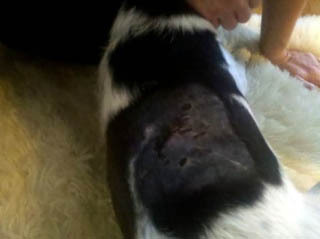 The dog's injuries were potentially deadly because of where they were on its body. Police say "the overall living conditions of the animal were unsatisfactory" as well. "He has a deep wound, sort of an abrasion, but it's a deep abrasion where the skins actually filleted open," said Kelly Bonone, Operation Manager at Horry County Animal Care Center. The wound is now cleaned, and from a distance, the dog looks completely normal. Bonone says when he came in he was nervous and skittish. Today, he's jumping around, and Moore has even checked up on him. "It looked like it was happy, if that's possible to determine. It wagged its tail, and it looked comfortable." "He is on medical treatment, so he is getting some pain relief, some antibiotic therapy, so he's very happy to have the ability to move around and get some attention," added Bonone. Animal cruelty cases are not unheard of. In the last year, the City of Conway has dealt with ten of them and four are still pending. If you see an animal that you think is being mistreated, officials say call the police so they can investigate. 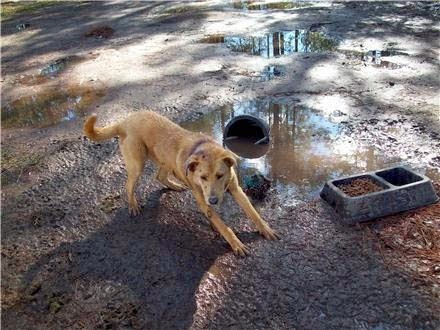 Under the law, owners are required to properly feed their animals, provide clean water, and adequate shelter. Crenshaw is out of jail on bond. OKLAHOMA -- One dog is dead and another was severely injured after they were attacked by several pit bulls in a Moore neighborhood. 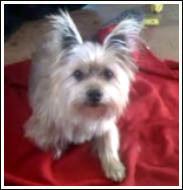 Tony and Meghan Fowler say the pit bulls attacked and killed their Yorkie, Edward. The dog was in the backyard when they say the pit bulls jumped over the waist-high fence and attacked the Yorkie. "They were way bigger than him, you know? He didn't have a chance at all," said Tony Fowler. The Fowlers say the pit bulls then jumped back over the fence and immediately attacked another small dog in their neighbor's yard. Sandy Harney's Dachshund, Doc, managed to fight off the pit bulls. Harney's dog needed close to 40 stitches in the back of his head. A court hearing is scheduled for next week with the owner of the two pit bulls. We're told the fate of those pits will be decided at that hearing. A spokesperson with Moore Animal Control didn't want to comment on the case. MAINE -- A 28-year-old man last known to be living in LaGrange was convicted in absentia and received the maximum sentence under civil law Tuesday for his dog’s brutal attack two months ago on a former friend who lost most of her right arm and whose left arm was badly mauled. 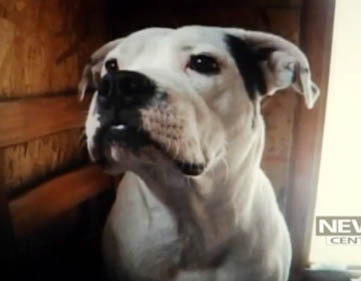 District Court Judge Kevin L. Stitham ordered that Adam Bemis, who owned the American bulldog mix involved in the Nov. 12 attack, to pay a $1,000 fine, to permanently tattoo and install identifying microchips in any dogs he might have, and to confine his dogs to locked and fenced areas except when being taken to veterinarians. When beyond the confinement, they must be kept on leashes no longer than 3 feet. Failure to comply could result in criminal charges against Bemis that carry jail sentences of as many as 364 days, Stitham said. Stitham explained to victim Karen Stewart and the gallery at Lincoln District Court that the Maine Legislature wrote the civil law requiring those penalties and that he was constrained from adding more to the sentence. Stewart, who said she knew and liked Stitham from previous business in his court, was sympathetic and expressed some satisfaction with the verdict. Assistant District Attorney Margaret Gray said that court officials could not determine Bemis’ whereabouts. His telephone number appears disconnected and Gray said she couldn’t be certain whether he still lived in LaGrange. Stewart said she had a feeling Bemis would not appear in court, though they were once good friends. Stewart said she didn’t know why the dog attacked her, but suspected it happened because Bemis hadn’t fed it. “He didn’t want to face the music,” Stewart said. “He’s trying to blame it on his brother, his ex-girlfriend, [but] Adam is the one who let the dog out. If I had the [ability to sentence Bemis], I would get it so that he had to take care of people, so he could pay his fines off. Speaking in hushed voices, Stewart, Stitham and Stewart’s attorney, Patricia Locke of Lincoln, discussed the attack at length when Bemis was sentenced in court. “I’d like to show you the scars I have from the attack,” Stewart said. “I will look at anything you want me to look at,” Stitham answered, although he already had indicated that Bemis would get the maximum sentence. Stitham’s tone was gentle, warm and occasionally teasing as he listened. 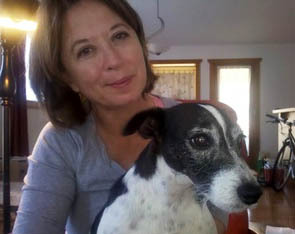 Locke guided Stewart by the arm to the defense lectern and then the witness stand, occasionally prompting her with questions, as Stewart explained how she went out for a walk from her friend Vaughn “Sonny” Adams’ trailer and was attacked by the dog. With help from Maine State Police Trooper Barry Meserve, Stewart and Stitham reviewed on Meserve’s laptop computer pictures he took of the attack’s immediate aftermath. In a trembling and occasionally stammering voice, Stewart explained how she was placed in a medically induced coma for three weeks after having nearly died four times in the ambulance. Surgeons had to amputate her right arm above the elbow. Stewart came home from the hospital on Dec. 10. Stewart’s life is now a series of doctor’s appointments and thrice-weekly blood tests to check her Coumadin levels, she said. Coumadin is a prescription drug that helps prevent deadly blood clots that could result from her injuries. After she had crawled back to his trailer, Adams saved her life by wrapping her in a curtain he tore from a window and in a jacket of his that she hated, Stewart said. Stitham pointed at a picture. “That’s the jacket you hate?” he asked. “Oh yeah,” Stewart said with a big laugh. Stewart’s medical bills for the attack top $230,000, she said, adding that she is not sure how she can pay them. When she had finished telling the judge what she wanted him to know, Stitham thanked Stewart for her candor. “You are a most extraordinary woman,” he said. 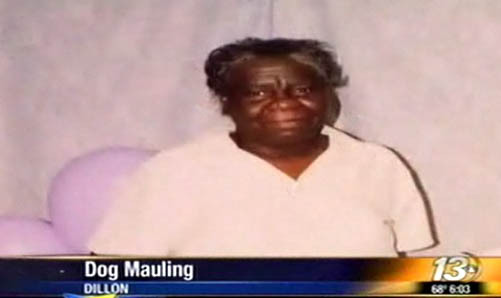 TENNESSEE -- A Pit Bull will likely be put down, after attacking a woman and her adult daughter. The women say the dog was a member of their family. 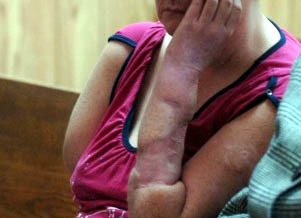 The daughter, 19-year-old Carrie Cole, was bitten on her forearms. Her injuries are minor compared to her mother's. Meg Cole underwent surgery at Erlanger after surviving serious injuries to her hands, arms, and legs. Screams from the Cole's Russel Street home could be heard several doors down. Neighbors describe seeing Meg Cole stumble out of the home, bleeding and scared. "It was a large gash that I could see in her arm, where you could see into the tendons and the deep tissue in her arm. It was pretty graphic," says Marwan Moughrabi. Cole's dog, "K.O. ", is being blamed for the attack that rattled even the McKamey officer on scene. "He has not been an officer with us very long, but he was pretty shaken, the bites are pretty bad," says McKamey Director Karen Walsh. 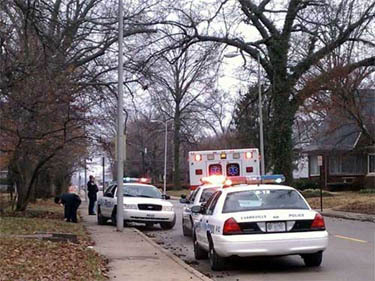 Eyewitness News was there Sunday as Meg Cole and her 19-year-old daughter Carrie were taken by ambulance to Erlanger. From her hospital room Monday, Meg Cole told Eyewitness News why she believes K.O. attacked. She says she and her daughter were arguing and the dog bit Carrie, and then took off down the street. Meg says she found K.O. at a gas station a few street over and walked him home. When she raised her voice, she says, he turned on her. Meg suspects the dog's previous owners may have abused him, but she says until now, K.O. had never shown signs of aggression. "The dog may go its entire life and never do something like this again, but you really can't take that chance. If it were a toddler that was in the middle of, or if the dog had turned its attention to, it could be dead," says Walsh. McKamey Director Karen Walsh says K.O. cannot be re-homed or adopted and will likely be euthanized. She says it has nothing to do with his breed, but that the risk of another attack is just too high. "We don't have this dog in custody because it's a Pit Bull, we have this dog in custody because of the damage it did to its owners," says Walsh. McKamey officers call the Coles responsible owners. Their dog will be held for 10 days, before being euthanized. As for Meg Cole, she does not have health insurance, so medical bills will be paid out of pocket. Her daughter, Carrie, is insured. 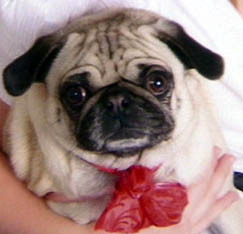 MICHIGAN -- A Dearborn Heights family is mourning the loss of a family dog after they say two neighboring pit bulls attacked and killed their Pug. Tiffany and Jeffrey Holcomb were on vacation when Tiffany's father let the family's two dogs outside. 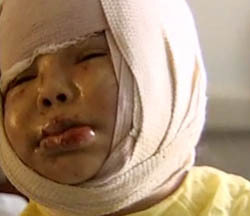 It was then that their neighbors' two pit bulls jumped a fence and attacked 4-year-old Mia. Tiffany's father was able to scare the dogs away and rushed Mia to the vet, but it was too late. The neighbors apologized to the Holcombs but offered no comment to FOX 2. FOX 2's Taryn Asher reports that Dearborn Animal Control will now decide whether to ticket the family or confiscate the pit bulls. Currently, the city has no clear-cut ordinance regarding vicious attacks on other dogs. TEXAS -- Bandaged and bruised, Caroline Dulfer, 51, sat on her living room chair clutching her 6-year-old Jack Russell Terrier, Piper. Both were attacked by a pit bull while out on a late-night walk on East Oak Ridge Drive in Marble Falls on Jan. 29. Piper's right hind leg and back were shredded and are now stitched up. She had to undergo hours of emergency surgery at an area vet following the attack. "The dog just took her in his mouth and shook her like a ragdoll," said Dulfer, as tears welled up in her eyes. "I just couldn't protect her." She says the police response was too slow and the owner won't be punished harshly enough. Dulfer said she was taking her usual five-mile hike near Mormon Mill Road when a pit bull charged her. She said she tried to keep the dog away from Piper but couldn't. While trying to save her dog, Dulfer said she was knocked to the ground. Disoriented and bleeding, Dulfer said the pit bull then turned on her and began biting. "I was screaming for my life. I thought this was it for me and her," Dulfer explained. Dulfer said the dog's owner ran out of the home and intervened by kicking the pit bull away. 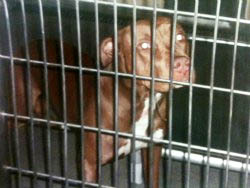 The pit bull's owner then drove Dulfer back to her home about two miles away. Once at home, Dulfer called police and then rushed Piper to the vet. Piper immediately underwent surgery to save her leg and repair her shredded back muscles. Dulfer said even though waiting to hear if her dog would survive was agonizing, what made matters worse was what she called "inept" police work. "They didn't care. When I called dispatch, they asked me why I needed an officer to come out," Dulfer said. Animal control officers were called out, but Marble Falls police Capt. 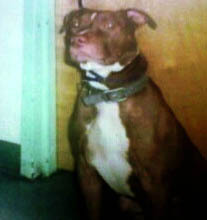 Robert Sooter acknowledged the department should have taken possession of the dog immediately following the incident. The dog was not picked up until seven days later. "We did do an in-home quarantine to make sure the dog did not have rabies," Sooter said in a telephone interview. "The dog is up-to-date on its shots." Sooter said the dog's owner was also cited for not having a leash on the dog and letting it run stray. Under municipal code , it is illegal to have a dog off leash within city limits. The pit bull was not in a leash-free zone. The owner will have to appear in court and could face up to a maximum fine of $200. The dog will be returned to the owner once she pays the impound fee, Sooter said. "This dog has never been a problem before," Sooter said. The pit bull will not be euthanized because under municipal code, the dog did not technically attack a human, even though it bit Dulfer. "Dogs bite. That is what they do. The dog's owner intervened and got bit. I wish I could change the law but that is the law," Sooter explained. Attempts to reach the owner on Monday were unsuccessful. Dulfer said she is happy her dog is alive and just hopes her personality does not change. "She is such a sweet dog," Dulfer said. Dulfer is now calling for the officers in charge of this case to be reprimanded for not taking quicker action. Medical care for both Piper and Dulfer is more than $2,000, Dulfer said. WEST VIRGINIA -- A Monroe County woman charged in a fatal dog attack has been acquitted of involuntary manslaughter. The Register-Herald reports that the jury deliberated nearly three hours Thursday before finding Kimberly Blankenship not guilty. 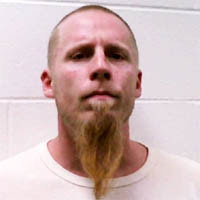 Blankenship was one of four people charged in connection with the death of 70-year-old Lowell E. Bowden of Lindside. 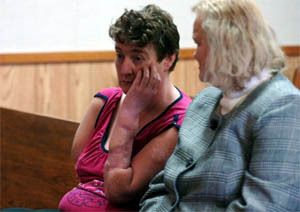 Police said Bowden was attacked by a pack of pit bulls the day after Thanksgiving 2009. He died a week later. Blankenship's son, 19-year-old Justin Blankenship, pleaded guilty to involuntary manslaughter and other charges in August 2010. He's serving a six- to 24-month sentence at Anthony Correctional Center. Charges against the other defendants have been dismissed. NORTH CAROLINA -- A Camp Lejeune Marine has been charged with with felony child abuse deputies said he left his 22-month-old son alone in the back yard where he was mauled by a pet pit bull. Lance Corporal Brennan Michael Listle, 20, was charged Friday by Onslow County Sheriff's Office with child abuse causing serious bodily injury and contributing to the delinquency of a juvenile by neglect. Deputies said he was hanging out and smoking cigarettes on the front porch while the boy was attacked. 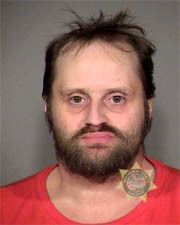 Deputies said Listle told his 22-month-old son to go play out back in a fenced-in yard. That is when deputies said the seven-month-old pit bull, a dog the family recently purchased, lunged at the toddler, locking onto his throat. "You just cannot be smoking cigarettes out in front of your residence, with a couple other Marines from his company and just say, 'Go play in the backyard,'" said Detective Sergeant John Getty. "This parent needs to learn by his mistake." The child was taken to the Naval Hospital aboard Camp Lejeune then to Pitt County Memorial Hospital. Brennan Junior underwent two surgeries for his injuries which included neck fractures of the cervical spine, which was a fracture in two of the seven bones (Vertebrae C6 and C7) in the neck cervical region. NewsChannel 12 spoke with Listle briefly on Friday evening. The father said he was not ready to comment on the case, but did say doctors recently told he and his wife (who is pregnant again), Brennan Junior is recovering well and should not need further skin grafting. A family friend told NewsChannel 12 Listle was has been by his son's side since the incident until Friday morning. That is when deputies said Listle was arrested, then released to his command. "I even had my child around the dog and he was very interactive, very loving, let the kids pet him," said the Listle's roommate, Jared Calabro. As for his friend's parenting, the young man said, " I would trust him with my own kid, that's how much I would trust him around children." Listle is scheduled to be in court on Monday. OREGON -- A maintenance worker at Cascadian Terrace Apartments couldn't understand where a roll of paper towels he had placed in a common area had gone to so he checked the complex's video surveillance images. He was horrified by what he saw: A resident repeatedly hitting, slapping, whipping, choking and sexually abusing a little dog. And, the activity went on for awhile, police and prosecutors said. The worker turned the video images over to Multnomah County Sheriff's Detective Ken Yohe, which led to the arrest of resident Gene David Fosdick Jr.
Fosdick, 38, was arraigned Tuesday morning on a two-count indictment charging him with first-degree aggravated animal abuse and sexual assault of an animal. The Chihuahua belonged to Fosdick and was named Peanut. Fosdick pleaded not guilty to each of the charges. He told police he was rubbing and scratching the dog because it had fleas, the affidavit says. The incident occurred on the evening of Jan. 7 in a common room inside the apartment complex in the 5700 block of North Kerby Avenue. The dog is now in foster care in Multnomah County, according to Nicole Jergovic, a deputy district attorney. Court records show Fosdick is unemployed and taking anti-depressants for depression. He has prior drug convictions. A grand jury indicted him on Jan. 31. The court has ordered him to have no contact with animals as the case is pending. UNITED KINGDOM -- A man has been charged in connection with the death of a terrier that was attacked by two other dogs. The terrier was set upon by two Weimaraners as it was being walked in a field near Pear Tree Lane, Loughborough on January 23rd. The dog survived long enough to be rushed for veterinary care, but died from its injures. A 39-year-old man, charged with having a dog dangerously out of control in a public place, will appear before Loughborough magistrates' on Wednesday, February 16.